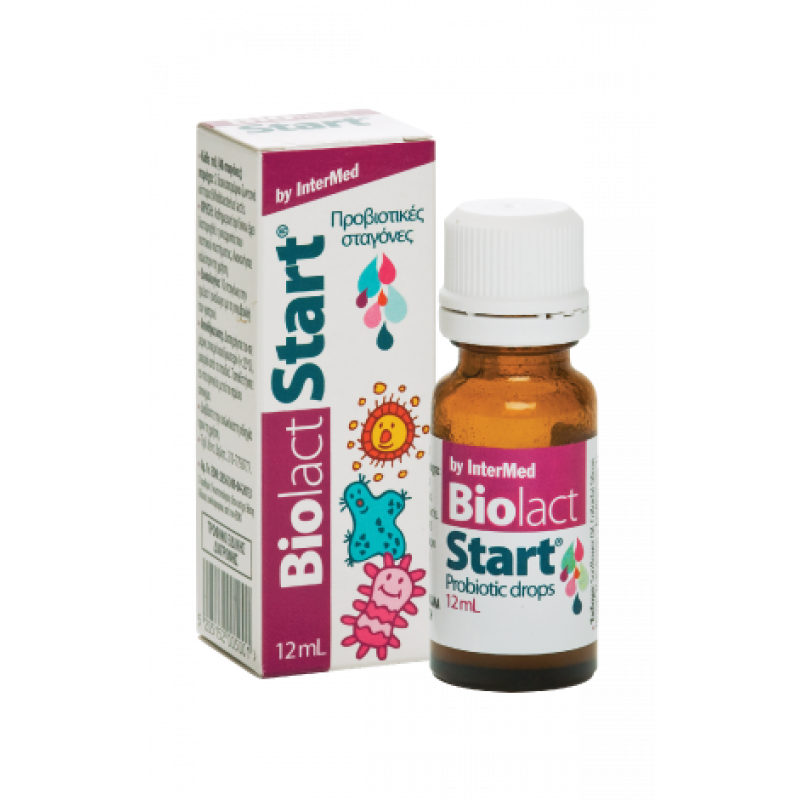 Biolact start is a probiotic product in drops, rich in Bifidobacterium lactis, microorganisms which are very important because they are among the first beneficial microorganisms colonize the infantile intestine and remain in large population during all stages of person’s life. With this way contribute effectively in restoration & maintenance of beneficial microflora and in proper functioning of intestine, particular in situations which discomfort infants and children as diarrhea due antibiotics, viruses or food changes, infantile colic, constipation and allergies. Diarrhea due antibiotics, viruses and food changes. Prevention of infections and relief of allergies. Packaging: Dropper Vial 12 mL. Every mL offers 2 billions of B. lactis. Sugar, salt, glutens, preservatives, artificial flavors/ colors and other allergens free. Administration of Biolact start is very easy for even neonates few days old as it can be mixed with any suitable liquid or solid food.